I often get asked by Londoners wanting to relocate which are the best places to move to in the north of England, and although there are many I could name, at the top of my list is the spa town of Harrogate In fact, I consider it one of the best places to live in the whole country, which is why I choose it to live, work and raise my own family here. It is no surprise to me that is has been voted the happiest place to live three times in a row in Rightmove’s annual ‘Happy at Home’ poll. If you want to know exactly why so many people, agree with me, below are my top six reasons for moving to Harrogate. 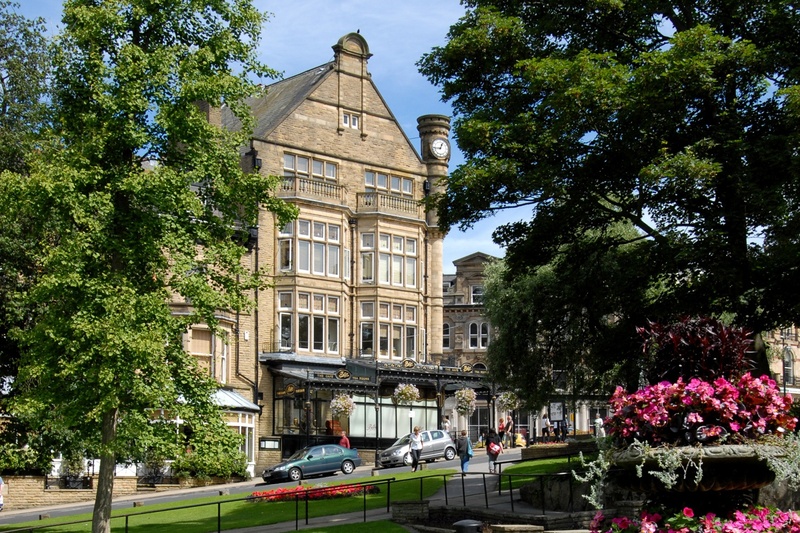 Harrogate boasts some of the most beautiful housing in the country, with many large Regency, Victorian and Edwardian detached and semi-detached homes. Spa waters were discovered in the 16th century, and in the Victorian era, it became a fashionable destination among the wealthy who wanted experience the health benefits of the special waters and this heavily influenced the architecture of the town. Some of Harrogate’s most sought-after addresses are on land owned by the Duchy of Lancaster and includes areas around Duchy Road itself, Kent Road, Cornwall Road and Oakdale. Other sought-after streets include Park Avenue, Regent Parade, York Place, and The Oval. Properties can fetch well over £1m, and I am finding that more and more London-based professionals are choosing relocate to Harrogate where they can get more for their money, have a better quality of life, and still easily commute to London. There are plenty of very good independent prep and senior schools in Harrogate, such as Brackenfiled, Ashville College, Belmont Grosvenor and Highfield Prep, and other high-performing independent schools an easy drive away, such as St Peter’s in York, Cundall Manor, and Sedburgh. Not only that, but we also have excellent state schools, such as Harrogate Grammar, St John Fisher, and St Aidan’s, which all performed above average in the 2018 GCSE results. Highly-regarded state primary schools include Western, Killinghall and Starbeck. One of the main reasons people are moving up north to Harrogate is its excellent travel connections. We are just 10 miles and a lovely drive from Leeds-Bradford International Airport, and trains to London and Edinburgh leave regularly from Leeds and York which are also just a short hop by car or train. The A1, M1 and M62 motorways are all nearby, so if you prefer to commute by car, getting to any of the major cities in the north or south is not an issue. One of the things that makes Harrogate such a special place to live are the green spaces on our doorstep. The 200-acre Harrogate Stray surrounds the town centre and is protected by an Act of Parliament, so will never be built upon. We have the beautiful Valley Gardens and Harlow Carr Gardens, which is one of only four designated Royal Horticultural Society gardens in the country. As it’s name suggests, the Great Yorkshire Showground plays host to the county’s most prestigious annual agricultural show, the Great Yorkshire Show, as well as the famous Spring and Autumn flower shows, Countryside Live and many other events which attract thousands of visitors into the area. The town itself is surrounded by the stunning North Yorkshire countryside. A short drive to the north west will find you in the Nidderdale Area of Outstanding Natural Beauty and the Yorkshire Dales National Park, and a short drive to the north east will find you in the Howardian Hills AONB plus the North York Moors National Park. Its location so close to the spectacular countryside of North Yorkshire is what helped the town secure cycling’s most prestigious event. In September 2019, Harrogate will be the focal point for the UCI Road World Championships, where eight days of racing will see elite riders from all over the world setting off from seven other towns and cities, yet ending each race at the finish line next to Harrogate Stray. We have several internationally-renowned venues, such as the Royal Hall, Harrogate Theatre and Harrogate International Centre which host events for all tastes, including musical concerts, comedy shows and dramatic performances, alongside festivals and conferences. The Theakston Old Peculiar Crime Writing Festival attracts big names like Lee Child, Val McDermid, and even J.K.Rowling (appearing under her pseudonym Robert Galbraith). The festival takes place annually at the Old Swan Hotel, famously the location where Agatha Christie went into hiding in 1926. Harrogate is also known for its ‘Café Culture’ and there’s nothing better than taking a few minutes to sit outside with a coffee in the Montpellier Quarter and watch the world go by. Or if you prefer something a little more formal, then the famous Betty’s Tea Room is the place to go, although you are likely to have to queue as, for understandable reasons, it is extremely popular. One of the best things about the shopping in Harrogate is not only the fact that, of course, all the top high street chains are there, but that it is also known for its excellent independent retailers. The Montpellier Quarter, which used to be nicknamed the ‘antiques and arts centre of the North’, has expanded its appeal and is now bustling with excellent boutiques and eateries. You’ll find pavement cafes, bars and award-winning restaurants alongside fashion, furniture, artisan produce and health and beauty boutiques. But if you prefer to have everything in one place, then we have Harrogate’s answer to Harvey Nicholls in the centre of town. Hoopers is a designer-led department store offering luxurious fashion and beauty, alongside its own restaurant, Zest, which provides locally-sourced food all day long. If, after reading all this, you still have doubts as to why Harrogate is, in my opinion, the best place to live in Britain, then call me on 01423 788377 and I will persuade you myself.